As a surgeon who has recently moved from the operating room to the procedure room, I have tried to read as much as possible on the future of medicine. I am happy to report that the future has some bright spots. While we were waiting for the politicians to make decisions, medical-type people have stepped up and made patients the number one consideration! This headline says it best, “Improving patient satisfaction will be key for 2019”. In other words, putting the patient first and foremost has emerged as important… again. But in the midst of all the technology and artificial intelligence (AI) which is incredible, we will need to constantly remind ourselves of the human factor. 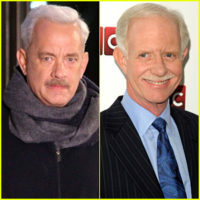 You might recall the scene in “Sully” where Tom Hanks (Captain Sullenberger) and his co-pilot are taken before the review board after the emergency water landing on the Hudson River. They were shown computer simulations of the pilot’s going through the same scenario of being hit by birds and losing both engines and making it back safely to either La Guardia or Teterboro Airports. In other words, the landing on the Hudson was unnecessary. Sully tells them “In these simulations, you’ve taken all the humanity out of the cockpit.” He was right, it made all the difference. And it’s a decent warning for us as well.